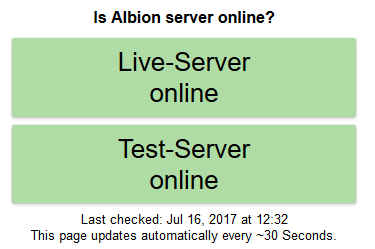 In this guide we have collected various useful links, guides and websites to make your Albion Online launch-week more enjoyable. This collection is for both at new and experienced players alike and will develop over time as more resources are added by the community. If you think we missed any useful resource, please let us know on the forums or on Discord and we will gladly add your resource to the list! ChronoChimera‘s cheat sheet updated last for Hector has a lot of useful ingame information. Timer reset times, respawn timers of various chests, loot tables, drop chances for mount babys, puppys & fawns, fame modifiers for zones, premium bonus details, group fame modifiers, a list of chat & emote commands, the item power softcap table, expedition mob details, the black market formula, island upgrade costs and other info. 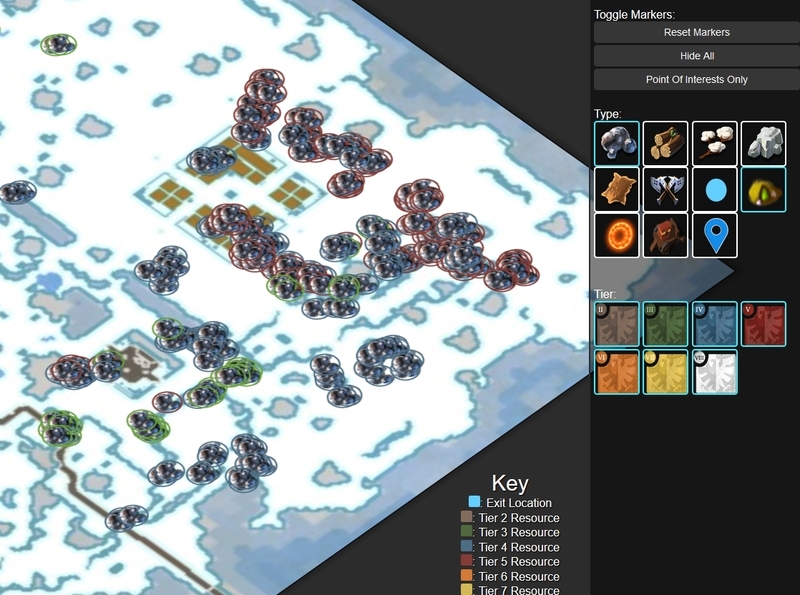 AlbionHelper.com is mostly used to find out where potential spawns for resources or other things in any particular zone are located. This makes it easier for you to find the nodes you are looking for quickly and efficiently. Remember to go the map menu on the top right and de-select the nodes you do not want to display. AlbionOnline2D (AO2D) is a database and tools website that is under development, but already has a lot of promissing features. In addition to a working item and spells database it features an albion map for your browser that reminds me of eve’s dotlan. It’s not perfect yet, but worth bookmarking for sure. 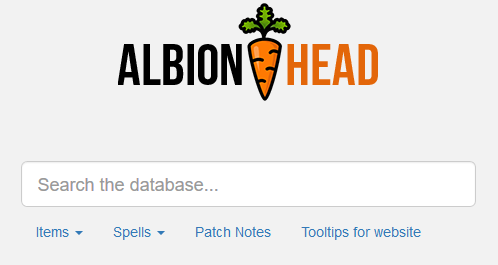 AlbionHead.com is an items, spells and patchnotes website that has a sleek look and a promissing item and spells database. A very useful spreadsheet is the ‘Startup Costs‘ spreadsheet, that has some simulations on tax income for guilds, but also building costs (silver & resources) detailed in very helpful tables. Check it out for sure. This is the end of this list, if you have any suggestions, make sure to let me know and I will add them to this list.